Rita illustrates the poly-systemic nature of disease thru steps taken to defeat health challenges such as PTSD, diabetes, arthritis, vision loss, depression, HSV, 30 lbs, Lyme and chronic bronchitis. Drawn from a 30 year personal inquiry, what Badgeley’s thesis outlined in Healing AIDS Naturally holds true: Releasing toxicity from Body/Mind/Spirit ignites miraculous healing. Learn not only the guidelines of masters that led me and others through detox protocols, winning lives back, but also the key elements that drive my dowsing into new realms of subtle energies and microbial terrains, granting me a vibrant & flexible 60 years of youthful aging. 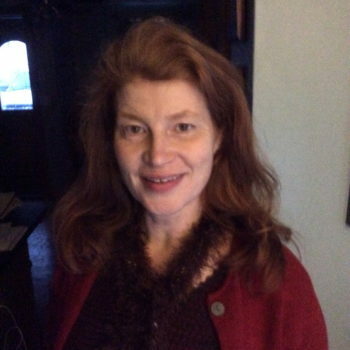 Rita Campbell received a BA in Anthropology from Brown University and a MA in Holistic Counseling from Salve Regina. She holds the following certifications: IFHI, #B556 Metabolic Typing; BioEnergetics College, Homotoxicology-AK; Harvard Radcliffe, Publishing Proc. Rita is a member of the American Counseling Association, the American Society of Dowsers, and the American Association of Drugless Practitioners.